Proposed amendments would not only allow President al-Sisi to stay in power until 2034, but enhance military power and undermine the judiciary. In Egypt's farcical March 2018 elections, President Abdelfattah al-Sisi was re-elected with 97.8% of the vote. A few months later, the former military chief was sworn in for his second - and, according to Egypt's 2014 constitution, final - four-year term in office. Shortly thereafter, however, the regime began preparing to change the constitution. On 3 February 2019, a group of deputies submitted a motion to the Speaker of Parliament, which was adopted in principle on 14 February. Now, the Constitutional and Legislative Affairs Committee is preparing a final version, which will require a two-thirds majority before it can be confirmed in a referendum. This parliamentary vote will most likely take place on 14-15 April. Among other things, the proposed amendments would extend the presidential term from four to six years (Article 140). The two-term limit would be maintained, but this would not apply retrospectively to al-Sisi. That means he could run again in 2022 and stay in office for a further two six-year terms. Al-Sisi could remain president up to 2034, by which time he will have been in the job for 20 years. In view of Egypt's catastrophic transformation after the 2013 military coup - as reflected in the country's rapidly declining scores in the Bertelsmann Transformation Index (BTI) - these drastic changes could generate further deterioration as al-Sisi tailors the political system around himself. Both in Egypt and internationally, coverage of the constitutional amendments has focused on the extension of al-Sisi's term of office. However, the proposals go far beyond that. Perhaps the most significant modification concerns Article 200, which defines the mandate of the military. It proposes that the military's role extend beyond just national defence to protecting the constitution, "democracy", the principles of the secular state, and the rights and freedoms of the people. This effectively allows generals to intervene in politics at any time, with the authority to interpret their role lying with themselves. Even a coup against an elected government could be legitimised in this way by the constitution. The proposed alternation to Article 234 is similarly significant. This provision currently gives the Supreme Council of the Armed Forces (SCAF) the right to approve the appointment of Defence Minister for the first two presidential terms after the 2014 constitution was adopted. The suggested change would make this veto power permanent. Under Article 204, the jurisdiction of the army's courts would also be extended. At the moment, civilians who directly attack military installations or soldiers can be tried in military courts. In the last few years, this vague formulation has led to thousands of civilians being sentenced in military courts. The proposed modification, however, would remove the word "direct", allowing the provision to be interpreted even more broadly. The 2014 constitution granted the armed forces an unprecedented degree of autonomy and shielded them from civilian control. The planned amendments would cement the military's position as the sacrosanct centre of the political order even further. Some observers are drawing parallels to the former position of the Turkish military which, as guardian of the Kemalist republic, overthrew several governments and stood de facto above politics and the constitution. While the Turkish armed forces withdrew relatively quickly after its three coups, however, it is notable that the Egyptian military has expanded its role not only in the nation's economy but politics and administration since its 2013 ouster of President Mohamed Mursi. Although the vast majority of judges support the regime, Egypt's judiciary has had a relatively high degree of independence for decades. The planned constitutional amendments would undermine this and strengthen executive control. At the moment, for example, the country's main courts appoint their own leadership, but a change to Article 185 would give the president authority to appoint one of Egypt's seven most senior judges. The head of state would also be empowered to select the Prosecutor General under Article 189 and the President of the Supreme Constitutional Court under Article 193. Up till now, those two roles have appointed by the Supreme Judicial Council and the General Assembly of the Constitutional Court respectively. A further amendment to Article 185 meanwhile provides for the establishment of a Supreme Council for Judicial Bodies and Entities. This body would be chaired by the president and would regulate, among other things, transfers and promotions. Moreover, the clause that entitles each judicial authority to an independent budget, granted by parliament and entered as a separate amount in the state budget, is to be removed. Finally, Article 190 in the amendment constitution would deprive the State Council of the exclusive authority to examine draft contracts to which the government or a public institution is a contracting party. This further shields the already often non-transparent procurement of public contracts from scrutiny. 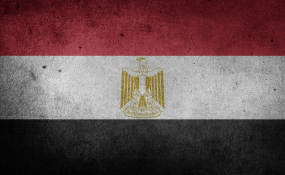 Egypt's planned constitutional amendments would thus have wide-ranging consequences. They would massively undermine the independence of the judiciary. They would restrict civilian control over the armed forces and place the military above the constitution, reinforcing the trend toward ever more comprehensive control by the president and generals. And they would allow al-Sisi's authoritarian rule to extend until 2034.